ENDIAN 4i Edge 112 Maint. Standard 1 year - Renewal ..
ENDIAN 4i Edge 313 Maint. Standard 1 year - Renewal ..
ENDIAN 4i Edge 112 Maint. Standard 3 years - Renewal ..
ENDIAN 4i Edge 515 Maint. Standard 1 year - Renewal ..
ENDIAN 4i Edge 112 Maint. 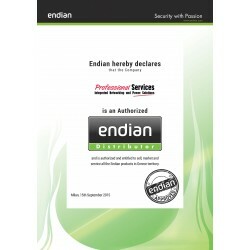 Standard 5 years - Renewal ..
ENDIAN 4i Edge 313 Maint. Standard 3 years - Renewal ..
ENDIAN 4i Edge 515 Maint. Standard 3 years - Renewal ..
ENDIAN 4i Edge 313 Maint. Standard 5 years - Renewal ..
ENDIAN 4i Edge 515 Maint. Standard 5 years - Renewal .. The powerful and scalable desktop industrial solution. All the features included in the product ensure that your remote industrial networks have the highest levels of availability which keeps your business running smoothly. An intuitive and easy-to-u.. The new appliance for securing industrial environments has arrived. The Endian 4i Edge 313 is the ideal appliance to protect industrial network and securing data flow and the perfect solution for standard conditions and temperature environments. The .. The Endian 4i Edge 515 brings an unparalleled level of hardware performance and features to the industrial VPN router market. All of this carefully blended with the most intuitive and easy-to-use web interface available makes this product perfect for..